The [background=yellow]SC200[/background] is a horrible device. It is highly inaccurate. I have one that my kid got as a Christmas gift. We don't even use it anymore. The sensor for the barometric pressure and temperature are inaccurate the moment you turn the device on. The eye of the device does not read properly and has a difficult time with swing speed and ballspeed. I have another radar unit that my son uses and it is more accurate based on flight scope swing speeds. The [background=yellow]SC200[/background] is all over the place. I can put both of my radars side by side. The [background=yellow]SC200[/background] will read 83/88/87/83/90 while my other radar is consistently measuring 94-100 mph. The range session and wedge game on it is a waste of time. Because the device is so inaccurate, it never measures a simple wedge shot correctly. Anything inside 90 yards, you are right. But from 90 on out, the SC200 has been remarkably consistent and accurate for me. I have compared it many times with two different Trackmans on outdoor ranges. Also, the distances I have narrowed in by using it over a long period of time have been translating perfectly to on course play. I can still recommend it. Great little device for a reasonable price. Does anyone know, if, the sc200 will measure chips shots, pitches and/or less than full shots accurately? or if there is an economically device, please inform. thank you very much. We did it back in 2014 with the Xi, we now did it again in 2018! Mevo has officially won a Gold Stevie Award for "Best New Consumer Product". Watch this space for more photos/info. In the meantime please go vote here for the mevo in the "People's Choice Stevie Awards." Voting is open until June 1st. Make sure to click on the "Consumer Products" category! If you read this thread, you‘ll find that this seems to be the weakness of the SC200. Just read my last posts. I'm looking at getting the Swing Caddie SC200 for a father's day gift. I believe this will give me a little variety at the range. Also, after looking at other reviews for the Mevo it seems the SC200 is less complicated to setup. I like its simplicity and that you DON‘T have to fiddle around with a phone. Put it on the floor and swing away. The remote is great for changing clubs and modes. It fits in any golf bag and the display is large. The voice function is cool when you’re alone on the range. I love it. I had my SC200 set up the other day, It was cool and humid (rainy). Started banging away with my 8 iron swing speeds were there but the carry distances were way short. I guess the humid air was the culprit. Another thing to take into account when playing. I'm still pretty impressed with this unit. It's working for me. The ball travels further in humidity. Humidity also reduces density because water vapor is lighter than dry air, so the more water vapor in the mixture, the less dense the air. So forget how the air feels on a hot, humid day. 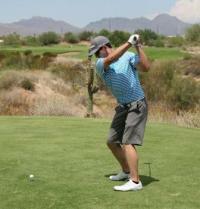 It is actually lighter, and will allow the ball to fly farther." 7. Then it must have something to do with the barometric pressure, could it be the denser air? 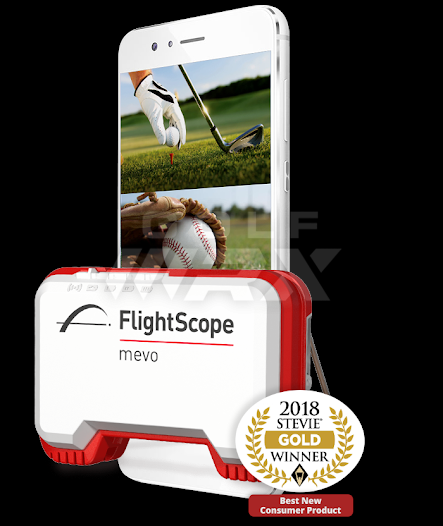 Does anyone have more to add about hitting with the mevo on a grass range? I usually do lines at my range which means I'll be moving closer to the mevo over time. Will I have to be moving the unit back every couple of hits to keep the minimum 4' distance between the ball and the unit? Or how important is it to be accurate with this number? Has anyone tested this aspect? Also, I saw that Ernest Sports came out with the ES16 which looks like it provides a ton of data, but there are literally 0 reviews for it online. What's the deal with this company? If they have the only product under $4k that basically does everything that Trackman does, where are their user reviews? Still can't find much on the ES16 aside from a few users on the golf simulator forum relaying very bad/dishonest experiences with Ernest Sports. Really wanted this thing to do what it says it does. Anyone have any updates on SC300 release?